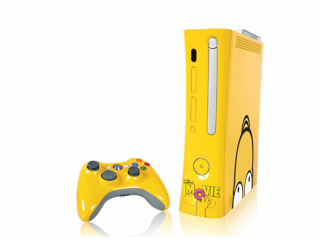 Microsoft revealed yesterday that it is making 100 limited special edition Homer Simpson branded Xbox 360s . The limited run is being made to celebrate the release of the first Simpsons movie which is coming out this summer. The Simpsons Xbox 360s come with a glossy yellow finish instead of the usual white coat on the standard 360 and the black finish on the 360 Elite. Homer Simpson's balding head makes an arty appearance on one side of the console, with the movie donut logo appearing on the front panel. Apparently the insides of these limited edition Xbox 360s are nothing special; it's all exactly the same gear as the standard 20GB console. This means no HDMI and no bumped up hard drive . Some die hard Simpson's fans might be disappointed by this. But what's guaranteed to upset them is that Microsoft has no plans to actually sell any of the 100 consoles it's making. They'll all be given away to promote the movie. Yesterday, Microsoft finally released the Xbox Live spring patch . The update provides Xbox 360 owners worldwide with access to Windows Live Messenger features. And it broadens the communication options on the Xbox Live social network.